We like workshops – do you like workshops? 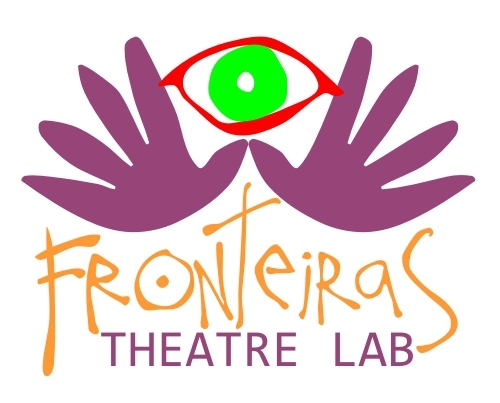 Fronteiras is a network of collaborators. Not only do these people lend their talents to our shows, but they also run short courses for continuous professional development. You can find out more about these below. Please get in touch if you want to arrange one of these events with us. UNLOCKING SCENIC PRESENCE, with Elizabeth Sogorb. Elizabeth is an experienced actress from Spain who trained at the prestigious ESAD in Murcia. This workshop helps performers prepare their body to be alert and ready for enhancing scenic presence through improvisation with physical action and use of props leading towards the creation of a physical score. Duration: 1 to 3 full days. MASKED PERFORMANCE, with Kristofor Bate. Kristofor is an actor and facilitator with a background in mask-making and masked performance. This workshop is an introduction to mask techniques across different cultures. Maximum number of participants: 7. CREATING TRANSCULTURAL THEATRE, with Flavia D’Avila. Flavia is the Artistic Director of Fronteiras Theatre Lab. This workshop is an introduction to some of the techniques she uses when creating transcultural theatre show, working with multilingual casts and writers. PUNCTUATION & DRAMATURGY, with Jen McGregor. Punctuation is the key to understanding the rhythm of a text, a powerful tool for any actor – but how comfortable are you with the dots and dashes? This is a workshop for actors who want to build their confidence in working with text. Through a series of practical exercises, we’ll explore the rules of punctuation… and how and when to break them. Taking someone else’s text and turning it into something new is an exciting task, but it can be a daunting one. Through a mixture of theory and practical exercises, this workshop will guide participants through the early stages of writing an adaptation. • Reasons for adaptation – why this text now? • Where to find information concerning copyright • How to select what to include and leave out • Changing contexts – updating and relocating stories • Finding the right form for your adaptation. For writers and directors with an interest in dramaturgy.